I have to mention that I have been naturally so overwhelmed with gratitude. I feel like I did the day we were married, the day and months after the twins were born, the day my sister offered to carry our twins for us and later when we found out it took. I am overcome with happiness. I believe that the main source for all the feelings that I have felt these days is our Savior Jesus Christ. My heart is warm because the spirit of God confirms this. His will is being carried out. He is the reason I have had complete peace regarding Julies health since the day I met her. He is the reason I had zero anxiety throughout the surgery. I am eternally grateful for this gift of peace and solace. Secondly, and a close second at that, I have to express my gratitude to everyone at the University Hospital. From Dr. Marshall and the staff down at Primary Children's who carried Julie into adolecence to the entire CF team here at the U. Dr. Liou has always taken special care of my sweet wife. The Respiratory therapy therapists were an integral part of Julie's life being lengthened. I am so eternally grateful to everyone up on the CF floor who has taken care of Julie. They made it as comfortable as possible to live at the hospital for two weeks everytime she went in. Despite the nuance complaints Cystics might have about the hospital, they and their families are indebted to the staff who take care of them. Thank you, and believe it or not we will miss you very much. I am crying as I type this because I am so grateful for you getting her here. I am so grateful that the doctor who developed the algorithm/formula for when to send a cystic to transplant was Julies Pulmonologist. It couldn't have come from anyone better than him for Julie. 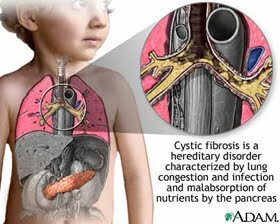 Predictive 5-Year Survivorship Model of Cystic Fibrosis When we met she didn't seriously consider it because of the high risk. After finding out that the stats are much better than they were in the early 90's late 80's when they started and as she got more and more sensitive and sick, it was a different story. Dr. Selzman and the surgical team were so professional and put my wife at ease. He met with her about a month ago and was very confident; exactly what Julie needed. Julie's CCRN Daniel Tolbert was very well spoken and eloquent when giving us updates over the phone throughout the surgery. He was very patient and eloquent. Her anesthesiologist Dr. Morgan was great at talking her through things and making her comfortable...without meds, and then of course with them. He has twins and has a transplant recipient in his family so this was 'near and dear to his heart'. He told me yesterday that the patron saint of transplant is actually a set of twins. http://en.wikipedia.org/wiki/Saints_Cosmas_and_Damian Her RN Stew took care of her the first day and it was like having an older brother. He was very sweet despite the fact that she would never remember. The whole staff here is very attentive and caring. It is amazing what modern medicine and faith in Jesus Christ can accomplish. I know He had the integral part of this whole process as he worked through these brilliant minds. So beautiful written! Thank you for sharing these precious thoughts with us.